waiting to meet their makers for Halloween. The pumpkins are round and orange and golden and they are full of sweet smelling pulp and slick smooth seeds. Any day now the field will be decorated with scarecrows, the farmers will set up tables and serve warm spiced apple cider and hot chocolate and I think you can get your face painted before or after you pick your pumpkin. I think the choice is yours. 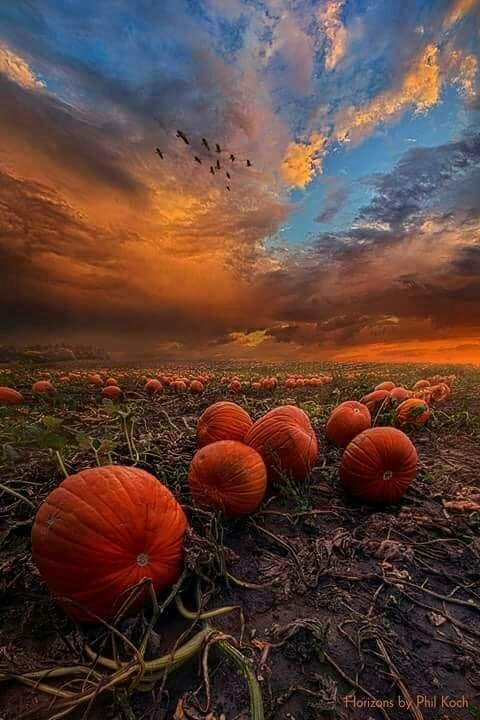 There is so much excitement in that field, on those days when people show up to drink warm cider, get their faces painted and pick out that perfect pumpkin to carve, to shape to mold into their vision, to tell their story about Halloween. The pumpkins are hallow, they are empty, they are lumps of cool white marble, softy gray clay waiting to meet the artist who fill them with dreams and candles and give them a voice with a story to tell. The pumpkins are empty, I’ve heard people say, until they are filled with our dreams of Halloween. that sounds like a chorus of screams.